Should You Upgrade Your Roof or Replace It? Home > Roofing > Should You Upgrade Your Roof or Replace It? Being able to make the right decision is key to avoiding unnecessary expenses related to any home improvement project. This is especially true when it concerns major projects like residential roofing. Being able to know if you need repair or replacement work will determine if you’re going to spend a lot or not. When you do a residential roof replacement, you’ll usually just be replacing the old and damaged shingles with newer ones of the same material. This will also include fixing up other areas of the roof that needs improvement. Meanwhile, a roof upgrade means you can choose a new material from what you currently have. You can go for an entirely new material with a new design and style. When Is It Okay to Just Repair and Replace? In instances where there isn’t a lot of visible and structural damage, roof repair can be enough. Replacing a few shingles is enough to bring back the function and beauty of the roof. Asphalt, metal and clay tiles are designed to last for decades, which means you don’t need to replace the entire roof. Before you do anything, however, it’s best to get the opinion of a professional roofer to find out if it’s just the shingles that need replacement, or you need to include the layers underneath it, too. With What Do I Replace It? If ever you want to replace the roof with a new material, consider the problems you’re experiencing with the current one. If your metal roof isn’t holding up well in your area’s cool climate, for example, you might want to consider asphalt, cement or something sturdier that won’t warp in low temperatures. You should also consider the function, aesthetics and practicality of the materials you will be choosing. 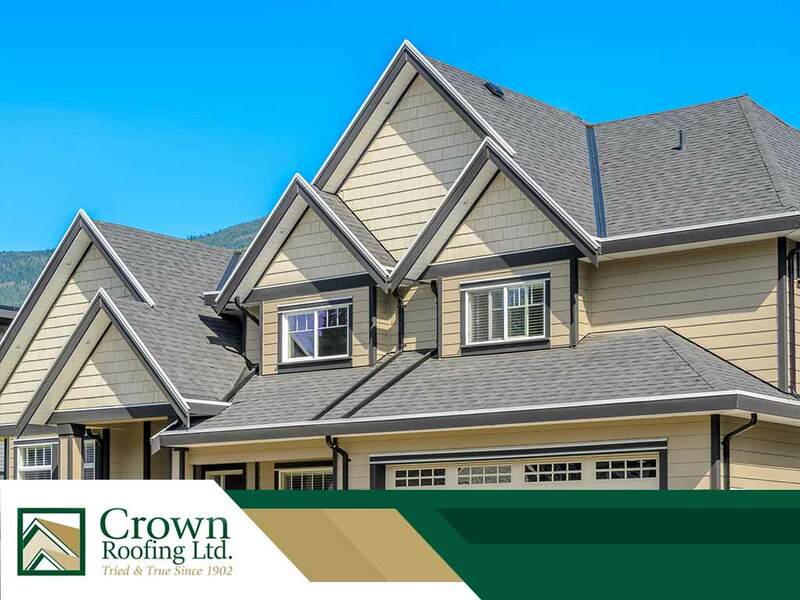 If you’re not sure what service to choose, simply call the experts at Crown Roofing. We’ll be glad to have a look at your roof and determine the best solution. Give us a call at (604) 210-6655, or fill out our contact form to get started. We serve homeowners in Surrey and North Vancouver.